Come see our Featured Home of the Month… The Nantucket! Beechen & Dill Homes invites you to come see the gorgeous move-in ready Nantucket model that is available at Parkside Square in Orland Park! This two-story home features 2,843 square feet of living space, with 4 bedrooms, 2.5 bathrooms, and a 3-car garage. This Nantucket model is our elevation B, which includes many of Beechen & Dill’s exceptional, personalized standard features. There is an open family room, kitchen & breakfast nook. The kitchen includes 1¼” granite countertops, birch or oak cabinetry, KitchenAid stainless steel appliance package including gas range, microwave & dishwasher, a walk-in pantry, and a large island w/ overhead pendant lights. You’ll also find a formal dining room, a study, a large mud room, hardwood flooring, and 9-ft first floor ceilings. The second floor master bedroom suite features dual walk-in closets, and a deluxe bathroom with a double vanity, tub and walk-in shower. There are three additional bedrooms, an additional bathroom, and the laundry room. 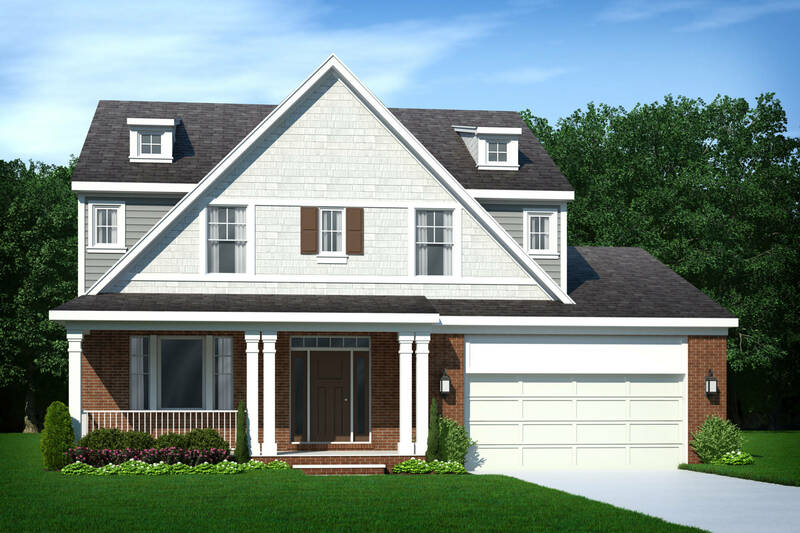 The Nantucket has a full basement with roughed-in plumbing for a future bathroom, a gas fireplace in the family room, a custom staircase, and custom coffered and tray ceilings. It is priced at $534,990. Parkside Square brings urban amenities to Orland Park. Located on West Avenue immediately south of 151st Street, this unique 25-home community offers residents walking access to the Metra train station, and is in close proximity to shopping, restaurants, entertainment, and the 192-acre Centennial Park and Aquatic Center. Top-rated schools include Park School (K-2), High Point School (3-5), Orland Jr. High (6-8), and Carl Sandburg High School (9-12). Along with some of our most popular floor plans, Parkside Square will also introduce a pair of new single-family offerings. Home prices start from the mid $400’s. For more information about The Nantucket or Parkside Square, contact Bob Williams at 708-800-8149 or bob@beechendill.com. The temporary Parkside Square sales office is currently located at Greystone Ridge, and is open daily from 10:00 a.m. – 5:00 p.m., or by appointment.